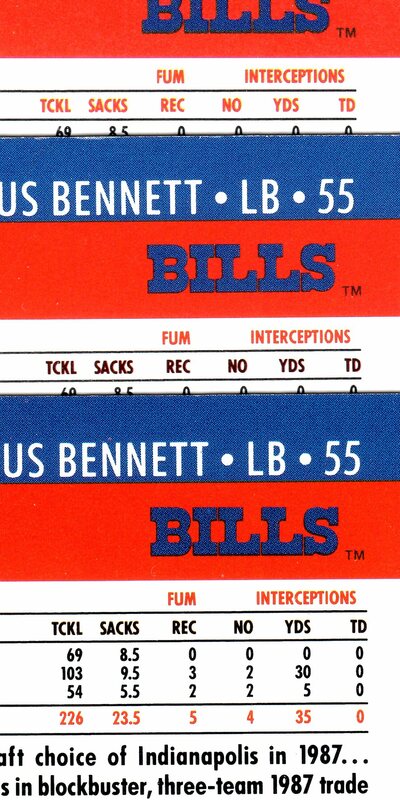 Here’s a peek at a recently discovered variety in the 1990 Pro Set Series 1 Pro Bowl subset. 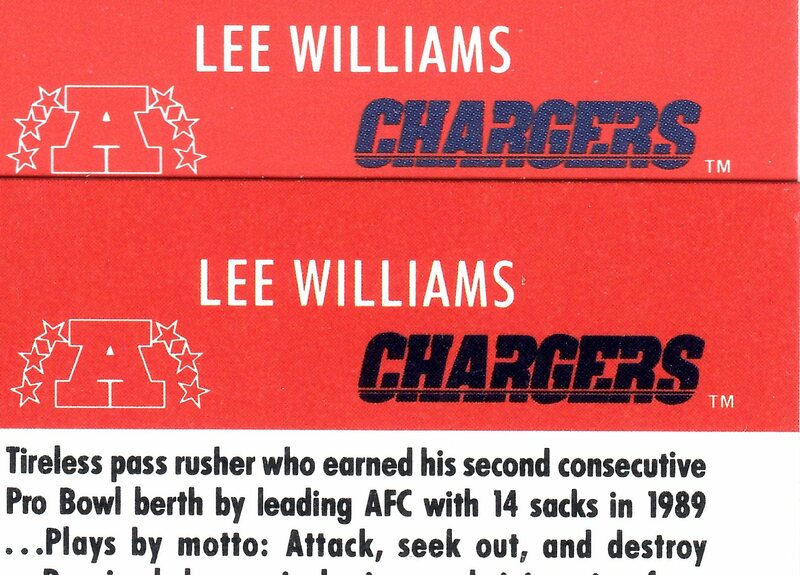 It appears that all three San Diego Chargers players (Anthony Miller, Leslie O’Neal and Lee Williams) were produced with thier team logo in either black ink or blue ink. 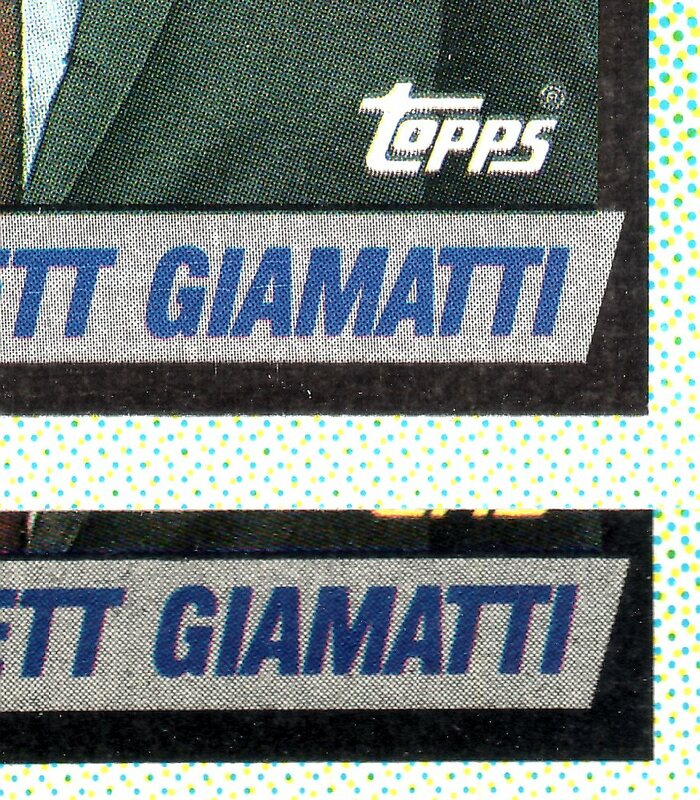 At this time, the solid black variety appears to be the tougher version.